SINGAPORE – When British writer Fiona Barton was a journalist, she had a habit of tearing out newspaper articles that caught her eye and stuffing them in her handbag, in the hope of following up on them later. One of these scraps, about the unearthing of a newborn baby’s skeleton at a construction site, did not end up as a news story for her – but gave rise many years later to the plot of The Child (2017), one of her psychological thrillers. Before she turned to novel writing, Barton was a journalist and editor for more than 30 years at news outlets such as The Daily Mail and The Daily Telegraph and draws on this experience for her books featuring Kate Waters, a tenacious, resourceful reporter. She followed The Widow, a New York Times bestseller, with The Child, in which Kate investigates the decades-old mystery of a newborn stolen from a maternity ward and never found. 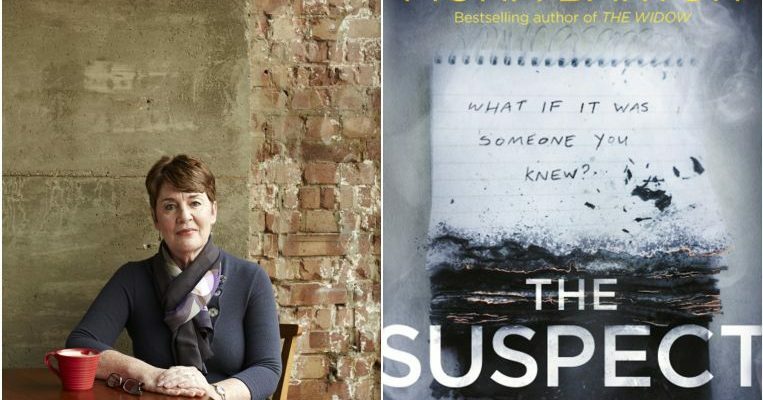 In her latest novel, The Suspect, the tables are turned on Kate when the deaths of two British girls on holiday in Bangkok turn out to involve her son, whom she has not seen since he went travelling two years ago. In every journalist’s worst nightmare, Kate goes from chasing the story to becoming part of it, as the rest of the press pack turn on her. Barton, who is married with two children and five grandchildren, left journalism to spend two years doing volunteer work in Sri Lanka. She later joined a media institute to train exiled journalists around the world. During this time, she began writing her first novel. She prefers to write just after she wakes up, but before she gets out of bed, which she says is “terrible for my back, great for my writing”. Her news career has given her a “fantastic archive of characters, quirks and behaviour” that she draws on for her books. The stories that stay with her are the ones that moved her, big or small – from the murder of a young student, whose mother kept in touch with Barton for years and sent her Christmas cards, to the kidnapping of a British couple on a charity mission in Chechnya, whom Barton interviewed after their release. During a break from the interview, Barton was sitting with the woman and having a cup of coffee when she suddenly revealed that she had been raped repeatedly during captivity. “It was a terrible moment,” recalls Barton. “I thought, is she telling me as a friend, or as an interviewer? Sometimes people open up to you more than they would to a family member or a friend. “So I talked to my news editor and he said, ‘We need to be absolutely sure that she wants you to report this and she understands the implications.’ I went back to her and said, ‘Do you want this in the story?’ It was a very difficult decision for her but eventually she said she did.